Gardens have their way of making indoor spaces livelier and more exciting. Indeed, more and more offices and homes are now incorporating plants in their interior motifs. One interesting design is the vertical indoor garden, also known as an eco-wall. It is available in different sizes, heights, styles and could be customized depending on your preferences. Nothing could be more conducive and relaxing than to go to work and be welcomed by a wall of lush greenery that makes you feel like you’ve been transported to the tropics. But aside from making your office look more chic and trendy, it also enables the circulation of fresh and clean air, since plants act as a natural air filter. 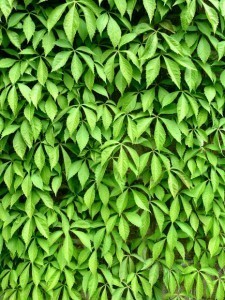 What could be more relaxing and welcoming than to get inside the office and be welcomed by a towering wall that’s luscious, green and cool to the eyesight? In fact, vertical indoor gardens have become such a trend that there are now numerous pots and vases that are especially intended for this. They come in an array of size, shape, color and materials, in fact, more than enough to add a touch of class and “oomph” in your workplace. Raising a wall of plants ensures more oxygen will circulate inside your workspace. What’s great is that the oxygen released by these plants is clean and fresh, since, compared to outdoor plants, they are not susceptible to harmful radicals and dusts brought about by the open-air environment. Indoor plants could accumulate and filter as much as 90% of the air pollutants that roam freely inside your office. They usually come from walls, air conditioners and appliances, and their adverse effects include headaches, colds, dizziness, sore throats and other related diseases. Raise chamomile and other aromatic-smelling plants and you won’t need an air sanitizer or freshener. According to Canadian Green Gardening, peace lilies, spider plants and other tropical plants serve as excellent organic absorbers of volatile organic compounds or (VOC’s). VOC’s are harmful substances that are emitted by paints and other epoxy made products that are present at work. A research conducted by the University of Guelph concludes that vertical gardens serve as ideal “biofilters” that prevent the development of dust, control temperature and humidity, and purify the air from pollutants. Aside from the positive impact on physical health, vertical gardens also help to induce the minds and feelings to the positive side. Trimming, watering, humming or pottering plants when you feel stressed, angry, or emotional low will do so much to set your mood for the better. So instead of ranting at your coworker, stand up and check out the walled greenery in your office.